KNOX COUNTY– The board of the Worthington Scholarship Foundation has elected Dr. Rick Bedigian to the position of Executive Director. This decision was taken in response to the resignation of its former Executive Director, Troy Curtis, due to health issues. Dr Bedigian received his Ph.D from the University of Massachusetts in microbiology and virology. Upon graduation, he accepted a position as a postdoctoral fellow at The Jackson Laboratory and was awarded a fellowship from the National Institutes of Health to continue his research. He subsequently accepted a faculty position at the Laboratory, where he remained for the next 22 years. In 1998 he took a position with Science Applications International Corporation (SAIC) where he was Vice President of Program Management and the head of the Laboratory Animal Sciences Program at the National Cancer Institute. In 2010 he received an award for merit from the National Institutes of Health. Following his retirement in 2010 he continued to support research programs at both The Jackson Laboratory and the National Cancer Institute. 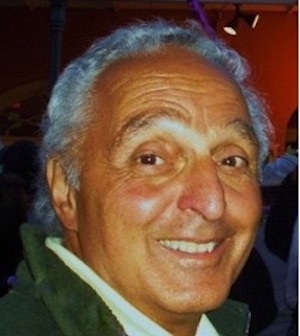 Dr. Bedigian resides in Spruce Head, Maine with his wife Gayle. The Worthington Scholarship Foundation has awarded 93 scholarships in Knox County to the Class of ’18 as follows: Oceanside High School – 48, Camden Regional High School – 25, and Medomak Valley High School – 20. The scholarships are in the amount of $4,000 per year. Plans are being developed for the expansion of this scholarship program to Waldo County in 2019.